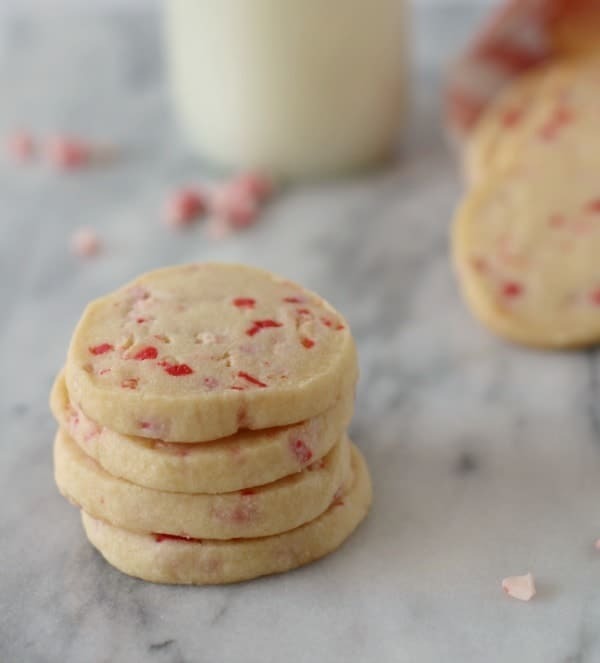 Buttery, rich peppermint shortbread cookies that everyone in your family will love. Easy preparation — slice and bake! This is a sponsored post on behalf of United Dairy Industry of Michigan. Monday I gushed about my love for REAL butter and breakfast cookies. Today I’m bringing you more butter love with one of my favorite types of cookies — shortbread. It might have a little to do with how easy they are to make (SO easy), but it also has a lot to do with the rich buttery taste and the melt-in-your-mouth texture. I really just adore shortbread. I’ve made a lot of fun versions, some even with cream cheese. Another thing I love about shortbread cookies is that you can whip up a batch of the dough, form it into a log, and throw it in the freezer. Then if you happen to have unexpected guests, all you need to do is slice off a couple of cookies, stick them in the oven and viola! Fresh cookies. Everyone will think you’re amazing. And you are! 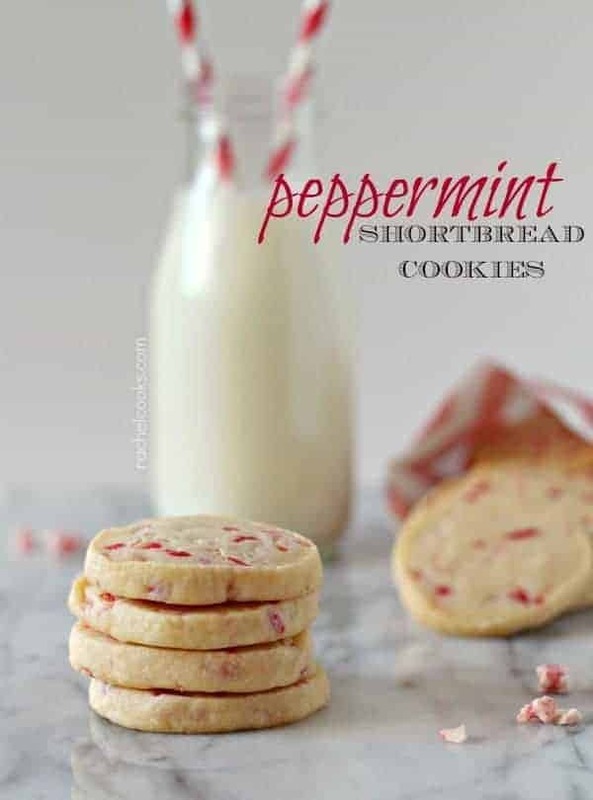 This version of shortbread brings a little Christmas spirit with Andes peppermint crunch baking chips . They provide a little bit of crunch before they melt away in your mouth. A simple list of ingredients (butter! flour! sugar! salt!) really lets the flavors of both the butter and the peppermint shine. 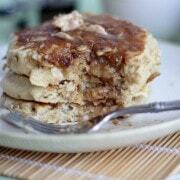 These are great with a cup of coffee or tea. Who knows — Santa might even dig a few with his milk. 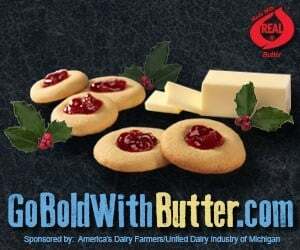 Make sure to check out Go Bold with Butter, and United Dairy Industry of Michigan’s (UDIM) website and Pinterest boards for more great recipes using REAL Butter. 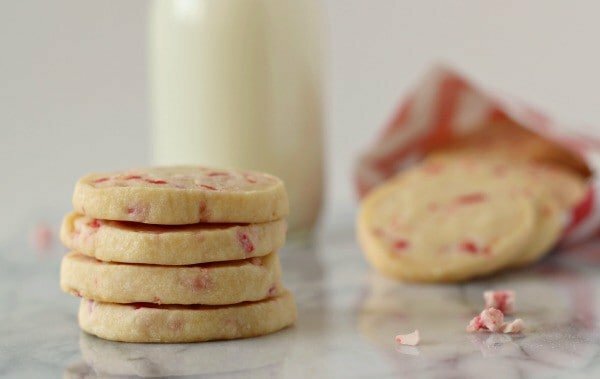 Buttery, rich peppermint shortbread cookies couldn’t be easier to make. Just slice and bake! In a stand mixer fitted with the paddle attachment, cream butter, powdered sugar, vanilla, and salt until smooth. Gradually add flour and mix on low until combined. Add Andes baking chips and continue mixing on low until fully combined. When ready to bake, preheat oven to 350°F. 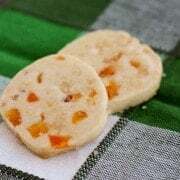 Cut the shortbread dough into 1/4-inch slices and bake for 13-15 minutes on parchment lined baking sheets. If you want to make these even more festive, dip cookies halfway into melted chocolate and sprinkle with crushed candy canes. Verdict: I loved these and ate far too many of them. Husband’s take: He liked these but he prefers chocolate chip cookies. 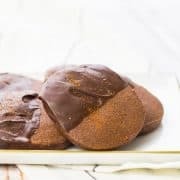 Changes I would make: None are necessary but these shortbread cookies would be phenomenal dipped in chocolate. Disclosure: This post is a collaboration with United Dairy Industry of Michigan. I was paid to develop and photograph this recipe but my love for butter is 100% the real thing. I’ve been looking for a recipe like this but am wondering if it’s possible to use cookie cutters? I haven’t tried rolling out the dough or using cookie cutters with this recipe so I can’t promise good results. They hold their shape pretty well, so it could work! Let me know if you try it. I followed the directions exactly as written and my cookies came out delicious. The combination of flavors with the shortbread and Andes peppermint crunch baking chips were fabulous! Thank you for this recipe. I’m so glad to hear that! Thanks for taking the time to come back and leave a comment! So glad you liked these cookies, Cindi! I can’t wait to try them with the creme de menthe Andes! Thanks for taking the time to come back and leave a comment! I just made a small test batch of these by quartering the recipe, and I substituted crushed soft butter mint-type mints instead of the Andes chips. I’ve not tried Andes chips yet so I’m not sure how the crushed butter mints compare, but I thought the soft butter mints worked really well! I did do something else differently: Instead of rolling into a log, freezing, then slicing, I rolled them individually into small balls and baked right away for 14-15 minutes at 325 (I was experimenting with the baking instructions for another shortbread cookie recipe I saw that used a ball shape) and after they cooled I dipped the bottoms of the cookies into melted semi-sweet chocolate. I’ll definitely be including these in the Christmas treat tins I’m making my coworkers. Happy to find this recipe! :) P.S. The quartered recipe made 12 cookies rolled into a ball shape, and I crushed up 5 mints (“Bob’s Sweet Stripes Soft Peppermint Candies”) which weigh 5 grams each, so when I make a full batch I’ll use approximately 20 mints or 100 grams crushed mints. Like some other commenters, I did find the mixture somewhat crumbly, but it held together well when rolled into balls and baked up wonderfully. So glad you liked them! Thank you for taking the time to leave such a thoughtful comment! I tried the same recipe…After baking, the cookie expanded and it was flat ..Not sure what mistake I did. Sorry to hear you didn’t get good results from this recipe, we love it! These looked so good! Not sure what I did wrong but they are just crumbly. Can I just add water to fix them? Hmmm, I’ve never had that problem? Did you roll them into a log and freeze? I don’t think water would remedy the problem, unfortunately. It could be related to how you measured the flour. I always spoon it into my measuring cup, I never scoop. Is that what you did? Mixed up and froze these a few days ago, set the roll out for 30 minutes and baked them just now. DELICIOUS! Tender, not overly greasy like some shortbread, minty-zippy! YES! So glad you like them! Merry Christmas! 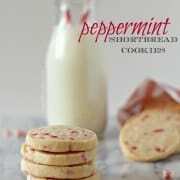 Can I make these using the Andes mint chips instead of the andes peppermint chips? I am looking to start my Christmas baking a little early this year by making cookies ahead of time and freezing them. Freezing cookie dough is kind of new to me… do you have any suggestions on how long the dough will keep in the freezer? As long as it is tightly wrapped, it should be great from now until Christmas! Made these today…they are awesome! Great recipe, will make again. So glad you liked them! Thanks for the comment. I loved the taste of these, and the texture was absolutely melt in your mouth. I did, however, have trouble with the cutting. As I began cutting them, they kind of crumbled, and didn’t really keep their nice, round shape. I had to kind of press them down a little to keep them together. Any suggestions for next time? Did you freeze the dough for longer than 30 minutes? If so, you may have to let it set out at room temperature for 30 minutes or so to achieve uniform slices. Hope that helps! I think I want to make these this Christmas – do you think I can sub in crushed candy canes for the baking chips?? I would recommend the Andes mints only because they are a bit softer. Crushed candy canes tend to get pretty hard (and stick in your teeth!) after they are baked. Did you roll them into a log before freezing? These are amazingly good! I made 2 batches yesterday for a party. Easy to make. Can’t wait to try some of your other variations. Good base recipe. I had a movie theme morning tea, and I dyed these green and called it Soylent Green, like the 70’s sci fi movie! The sky’s the limit with shortbread variations. by 2 sticks of butter do you mean 1/2 a block of butter? I’m definitely adding these to my holiday baking list! Can you add peppermint extract to them? Would you just do a teaspoon along with the teaspoon of vanilla? You could add peppermint extract but I think 1 teaspoon might be too much — it’s pretty potent! I’d try 1/4 to 1/2 teaspoon first. I actually used 1-1/2 tsp of peppermint schnapps :) Just to add a little spice to the dough. It doesn’t have a strong flavor, but i think did help pull the peppermint throughout the cookie a little bit. These look great! But how many cookies will you get out of this recipe? Thanks! About 40, depending on size/thickness. Thanks! I just made them and got exactly three dozen :-) they look great, and taste good too. Fun recipe! These are so festive and look delicious! Love the chocolate dip idea! Just added these to my Christmas bake list. Slice and bake? Doesn’t get easier than this. Ohmygoodness, these look yummy! Do you think you could use crushed up candy cakes in this? I never know what to do with all of them! I’m wondering the same thing. I need to use them up, all those extra candy canes. You could try, but they melt more than these chips do and they get harder and will get stuck in your teeth. I haven’t tested it personally so I can’t promise they’ll turn out. I just found this recipe yesterday and decided to gamble on the candy canes. I crushed them up in my Ninja for few seconds so the bits were small – almost sprinkle-like, and then added them to the dough. They don’t stick to your teeth and you still get that peppermint flavor and coloring. So smart! I use a meat tenderizer mallet (the flat side) and smash them into very small pieces in a ziploc bag. Don’t try using candy cane chips. I tried this and ended up with a plan of sweet chewy goop. Your kids might think it’s candy. The cookies all melted together. They do NOt work in this recipe. It’s unfortunate that the Andes chips are now only available on line. Yeah they unfortunately do not work…sorry you had to find out the hard way! I like to keep a batch of shortbread in the freezer too… mainly for my eating pleasure :) But in theory it’s in case of last minute visitors.